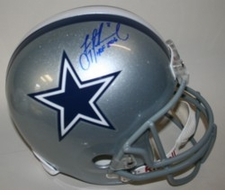 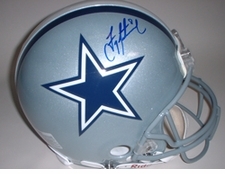 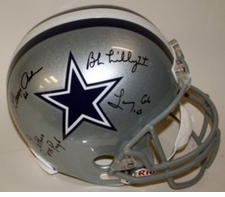 Find your favorite Dallas Cowboys player's autographed NFL helmet, jersey, football, photo, and more! 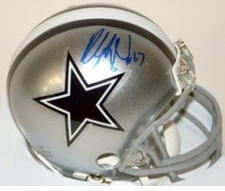 All of the signed football gear comes with verifiable authenticity certificates guaranteeing the NFL player's autograph. 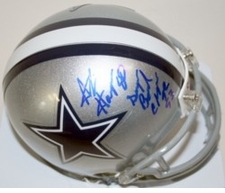 Get yours today – great for the collector or on the shelf in the home or office. 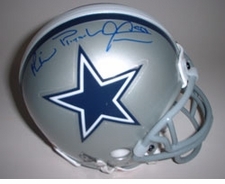 Autographed football gear also makes great gifts for the football fan! 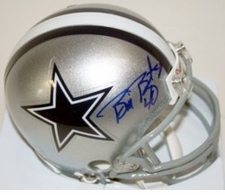 Find other Cowboys gear at Bowl-Bound's Dallas Cowboys Team Page. 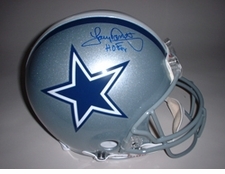 Signed helmets, jerseys, footballs and other gear are unique sports memorabilia that come with certificates of authenticity which includes a certified hologram. 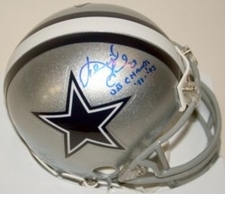 Almost ALL signed items come with a picture of the athlete on the certificate as well. 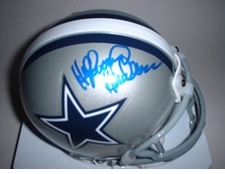 We will contact you as soon as possible if your item is NOT available. 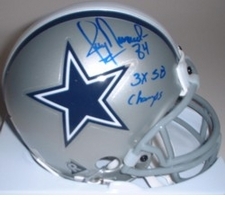 If your autographed item is unavailable you will not be charged. 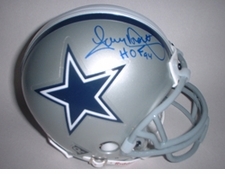 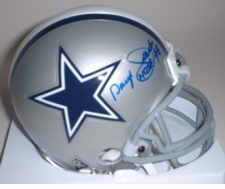 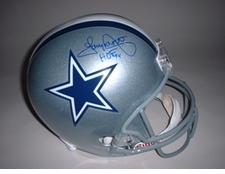 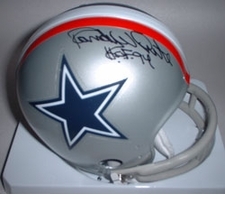 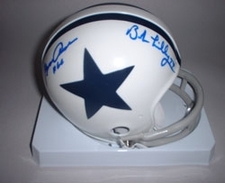 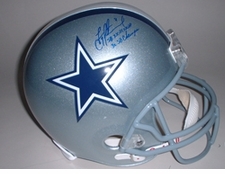 Don't hesitate - get your order in and guarantee your one-of-a-kind Cowboys football treasure!